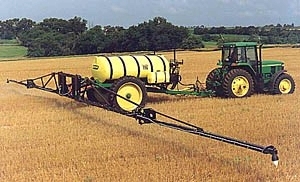 Herbicides are a useful tool for weed control, and in many cases, are the most effective weed control option. When making chemical weed control decisions, there are many questions to consider, including whether or not spraying is needed, which product to use, and when, where and how to apply that product. In all of these considerations, there are opportunities to reduce the risks associated with herbicide use. Read more about using herbicides for weed control in the topics found in the left navigation bar.